My weekend was fantastic! I made a variety of stuff over the weekend, even though it was pretty busy around here. With Pooh finally getting home from Chicago late Friday night, and Tigger getting all geared up to go to 4-H camp, we’ve been hopping. Somehow I even managed to squeeze in some baking, and I’m sharing a fun, delicious cupcake recipe today. Buckle up and hang on, because you’re about the embark on the adventure that was Martie’s weekend! Pooh was exhausted when she got home from her trip, but she had an amazing time with all of her friends, seeing the sights of the Windy City. She brought home some great souvenirs, a boat-load of dirty clothes, and a gnarly little stomach bug, but all in all, she wouldn’t trade the experience for anything. Tigger spent most of Saturday doing the girls’ laundry while Pooh slept. Pooh then slept all night, and all day Sunday. Go Pooh! Hopefully, she’ll be rested up soon, and can return the favor to Tigger next weekend. We got Tigger packed for her 5 days away from home (another first for us), including her own sheets, blankets and towels, and she’s off to camp in just a few hours. I sure hope she can carry all this stuff without falling over! I’m going to miss her terribly, but I can’t wait to hear about all of her swimming, shooting, archery, jewelry-making, zip-lining…the list goes on! I’ll watch her sleep next weekend. Somehow, in the midst of all of this, I also made three new listings for my Etsy shop. We are soon to be cleaning out my sewing room, because the room is getting an overhaul before the new roof goes onto the old house. I needed to finish a few projects up before I started packing, and I’m so glad I did. 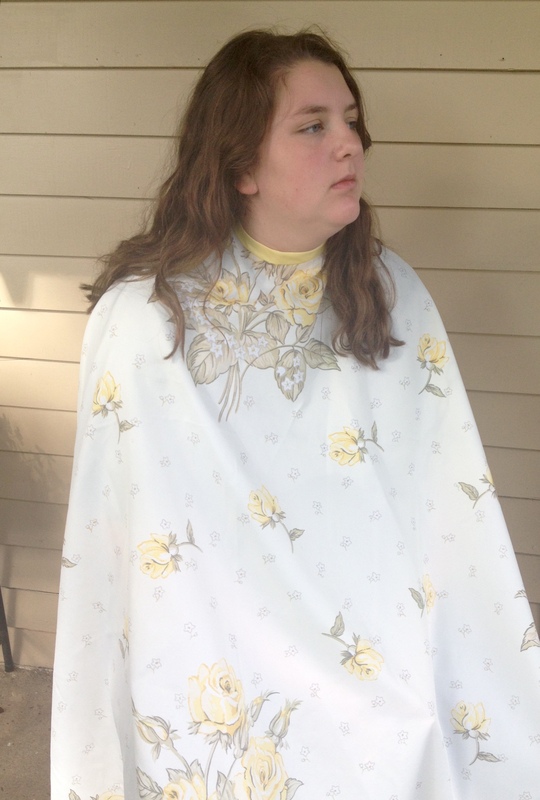 These two new styling capes are so pretty, and both are upcycled shower curtains! 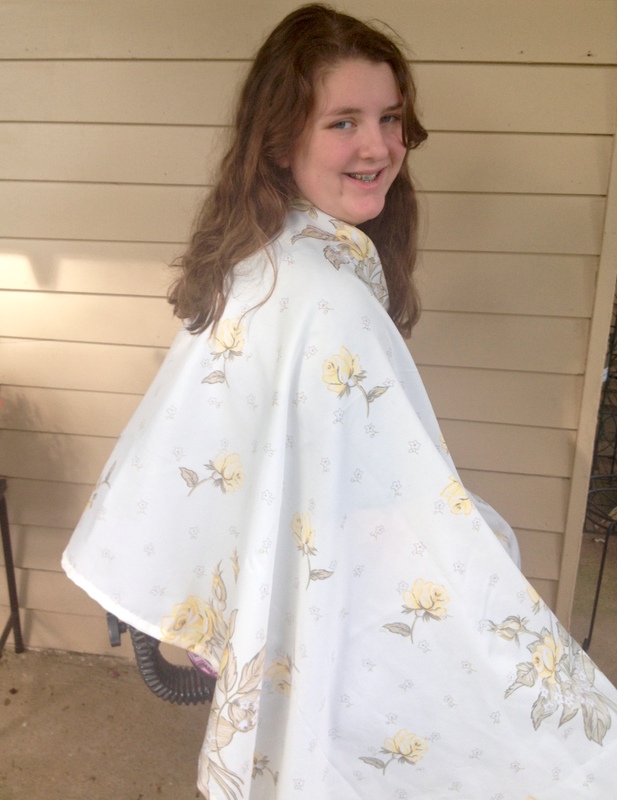 Fabric shower curtains are perfect for cutting and styling capes, because they’re usually water resistant, and the hair slides off easily. 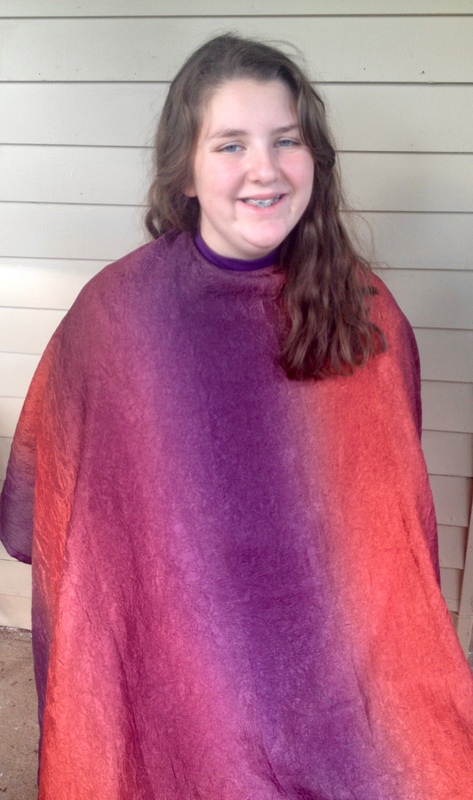 and the beautiful purple and rust ombre cape is so sheer and light. I love to upcycle! I should get these listed today, but if you want to see my other stuff, you can go visit my Etsy shop, AHairInMyBiscuit! I also finished a Feel Better Bag, and emptied out my flax seed tub. We can eat what little was left of my flax seeds (bonus recipe! ), and I used the tub to pack away all of my supplies for making Feel Better Bags. 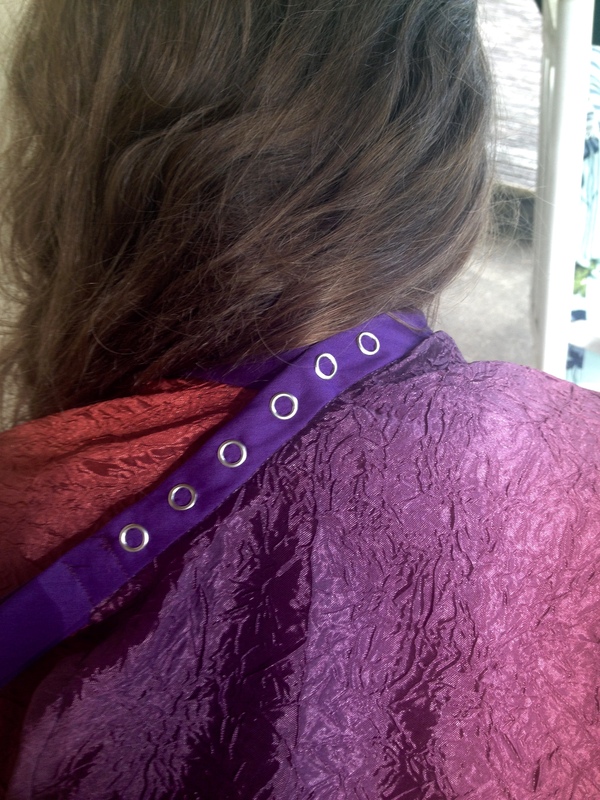 I also packed away the rest of my hairdresser gear makings, except these two capes I was finishing and a bracelet for ME. 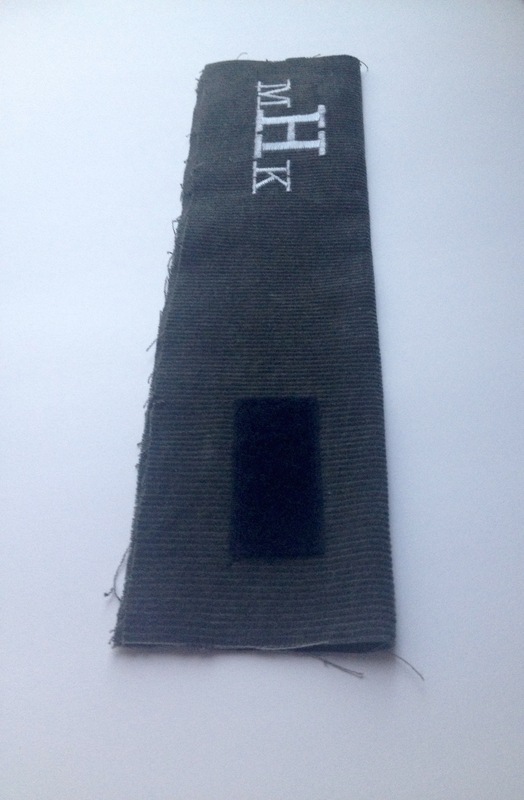 I’ve made gear just for me lately, and a friend of mine monogrammed this bracelet for me. I’m trying to work out the kinks to offer monogramming on the bracelets on Etsy, but I haven’t quite gotten it all together yet. I just love mine! I’m going to sew it up today! I even packed up most of my paintings and paint supplies. The room is down to the big chunks now, and we have no idea where any of it is going, but we’ll figure it out. We have plenty to do in the next couple of weeks to get ready for remodeling. On to the the important stuff: Dessert!! 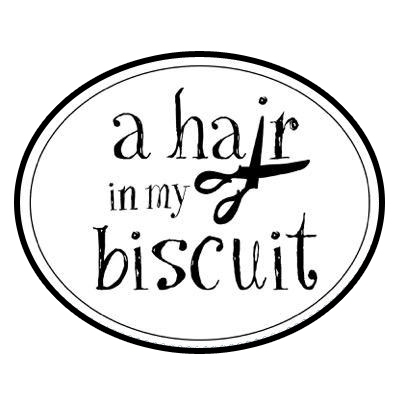 Mixed Berry Cupcakes on A Hair In My Biscuit. 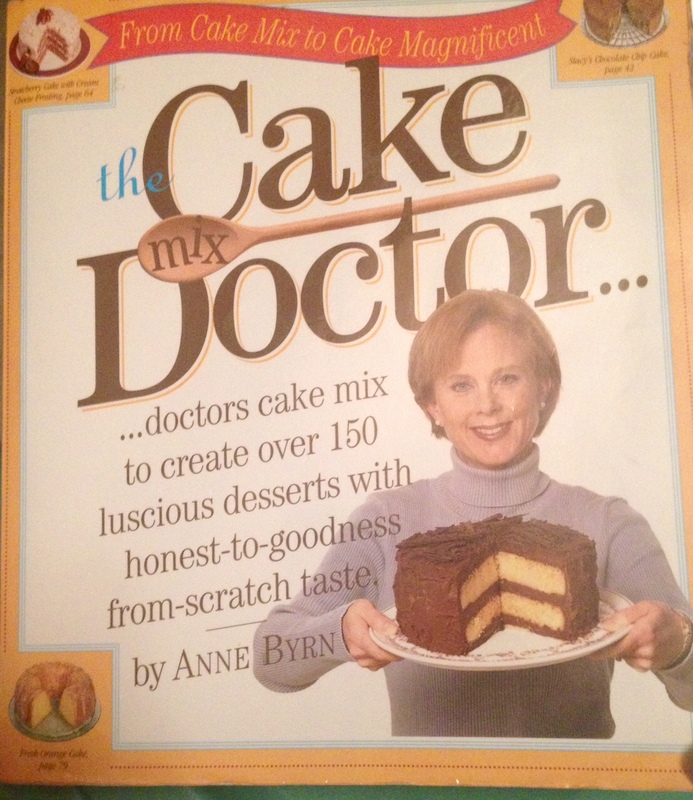 The Cake Mix Doctor by Anne Byrn? I highly recommend it. I’ve made so many delicious cakes out of this book, and the recipes are super-easy, because they all start with a cake mix! This weekend I wanted something sweet, homemade and summery, so I modified a recipe from this book, based on what I had in my kitchen. Oh. My. Goodness. These turned out so good…and pretty, too! 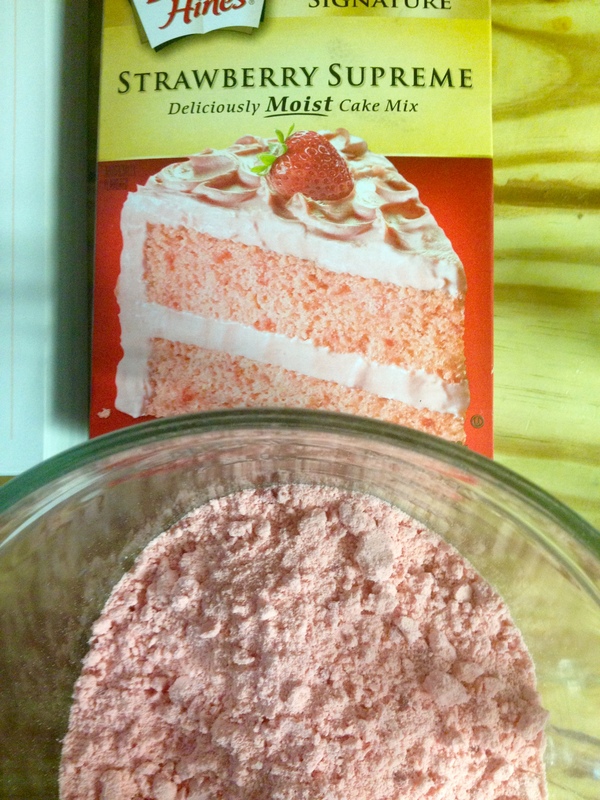 I used this recipe for Triple Layer Strawberry Cake. It called for a white cake mix and a 3-0z. 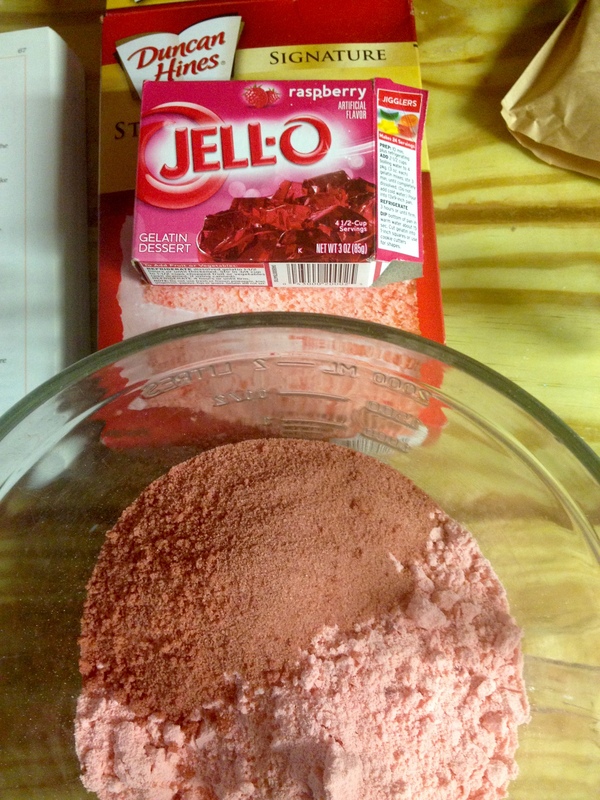 Strawberry Jello, but I had a strawberry cake mix and raspberry Jello. The recipe called for strawberries, but I had blueberries. Also, the recipe said to make it three layers, but I wanted cupcakes. I love cupcakes! Somehow they seem to taste better than cake, don’t they? 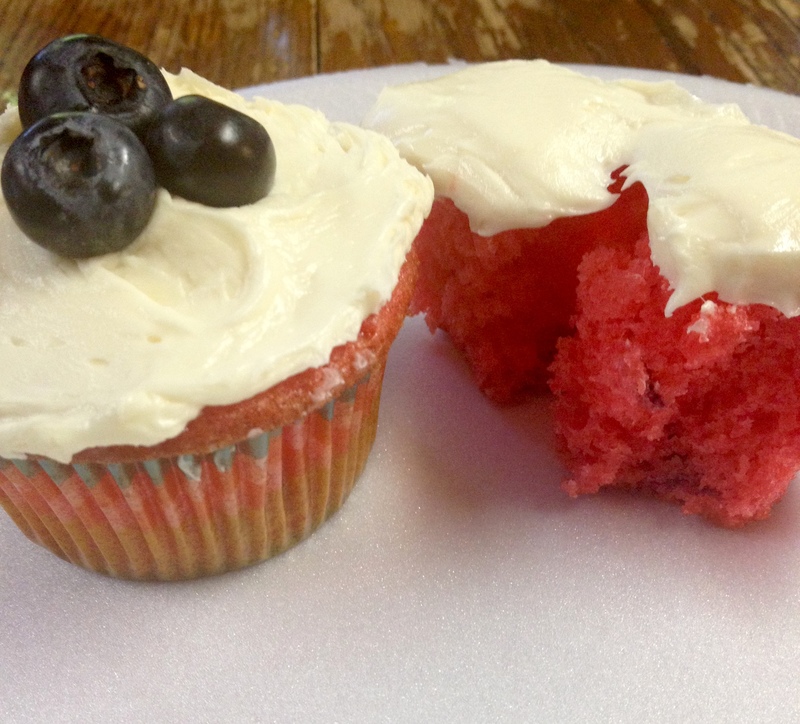 Suddenly, Mixed Berry Cupcakes were born!! 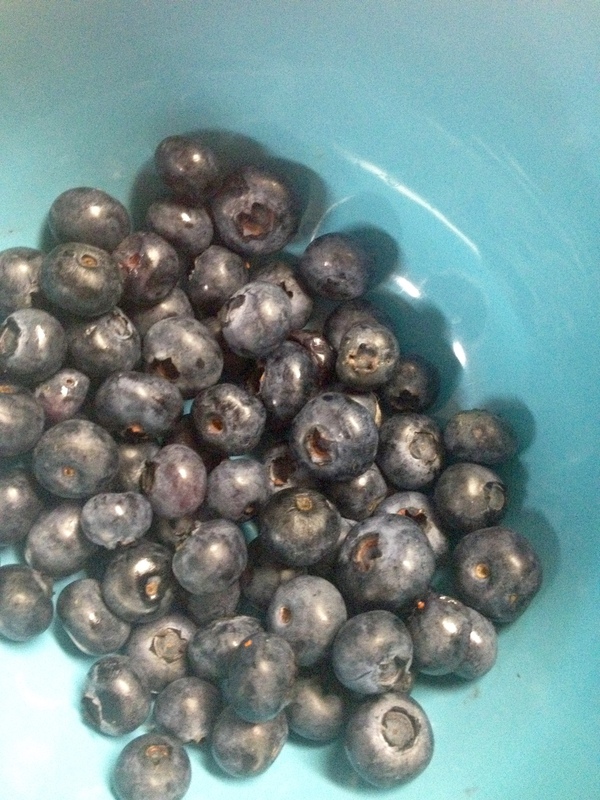 I just dumped the blueberries in before I used my electric hand mixer, which broke the berries up just fine. I wasn’t sure about the 4 tablespoons of flour the recipe called for, since blueberries don’t make as much juice as strawberries, but in the end I decided to add it. 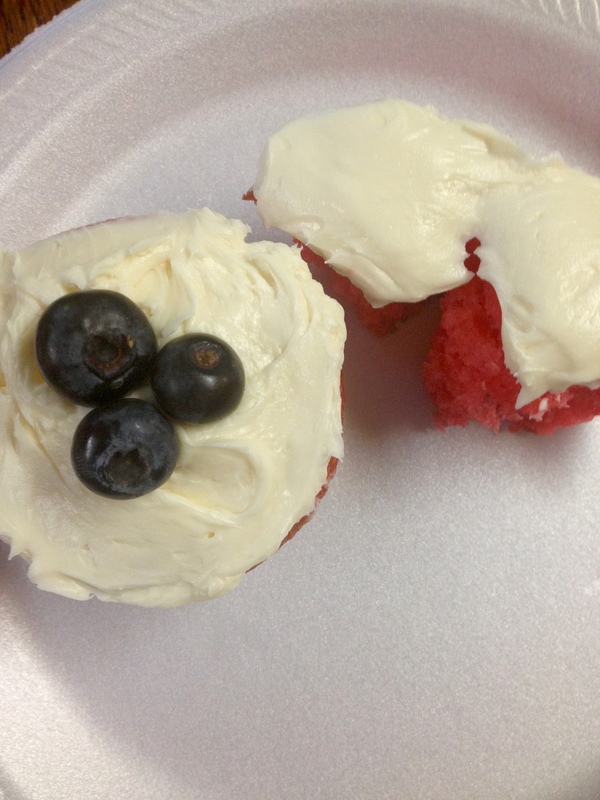 The cupcakes were just right…spongy, moist, fruity, and perfect with cream cheese frosting! 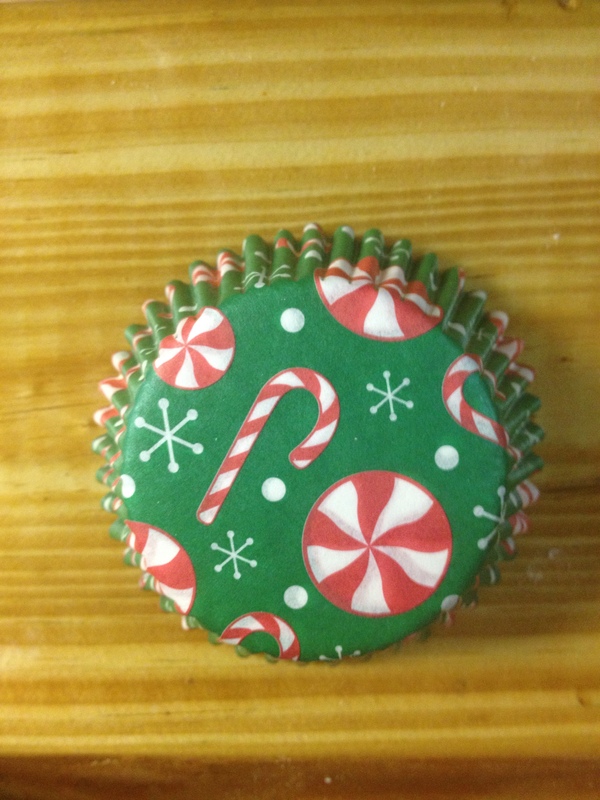 By the way, I have a thing for cute cupcake liners. These were my first choice for this recipe. I only had 12, though, so I had to throw in a few of these. And these, since I ran out again. 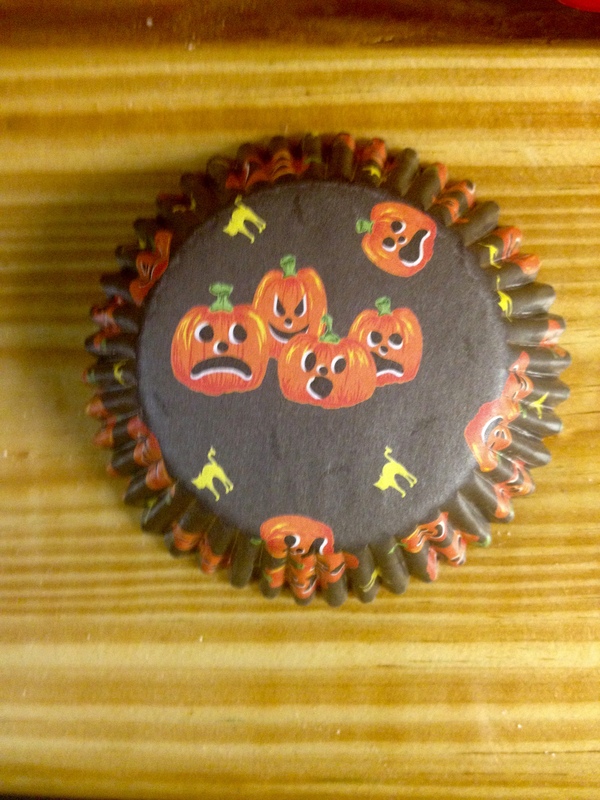 I didn’t say I had a thing for seasonally-correct cupcake liners… just cute ones. Also, I used 2% milk instead of whole, and I didn’t feel slighted in the least. I baked them according to the time on the cake mix box for cupcakes, which was perfect. This recipe actually made more than 24 cupcakes, but I don’t know how many. I poured my extra cake batter into a small 8″x8″ pan and baked it for about 10 minutes, and Tigger and I nibbled on that while it was still warm. I’m so bad like that! Set the oven to 350 degrees. 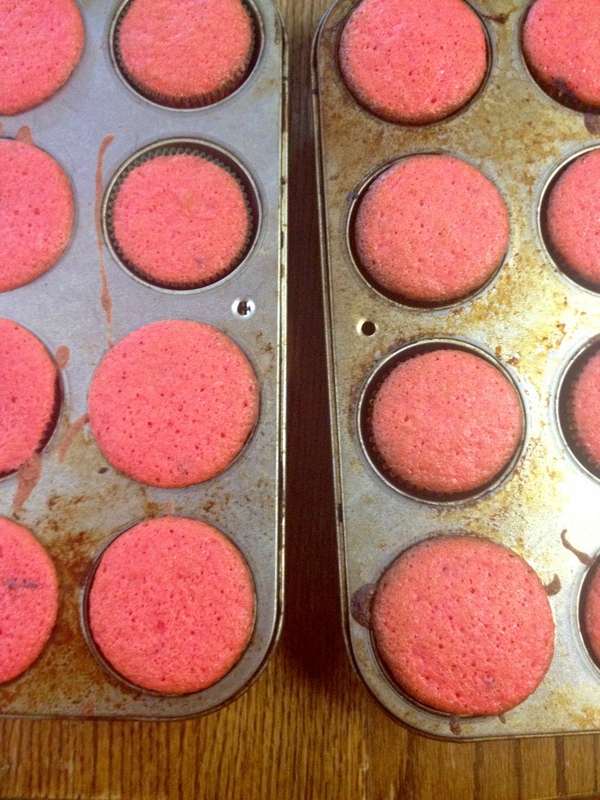 Line your cupcake pans (get creative, now). 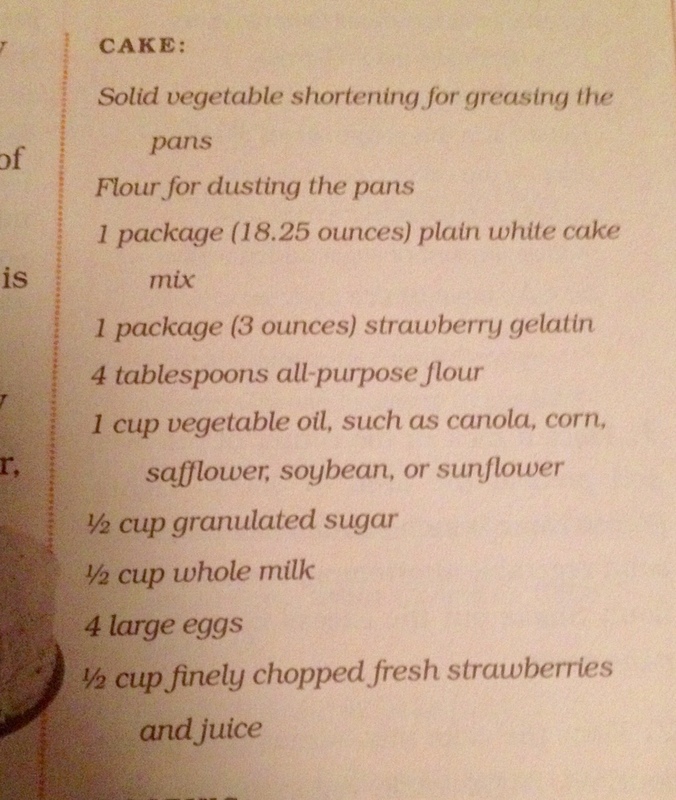 Pile all of that stuff in a bowl, then mix with an electric mixer for a minute or so. Stop and scrape down the bowl with a rubber spatula. 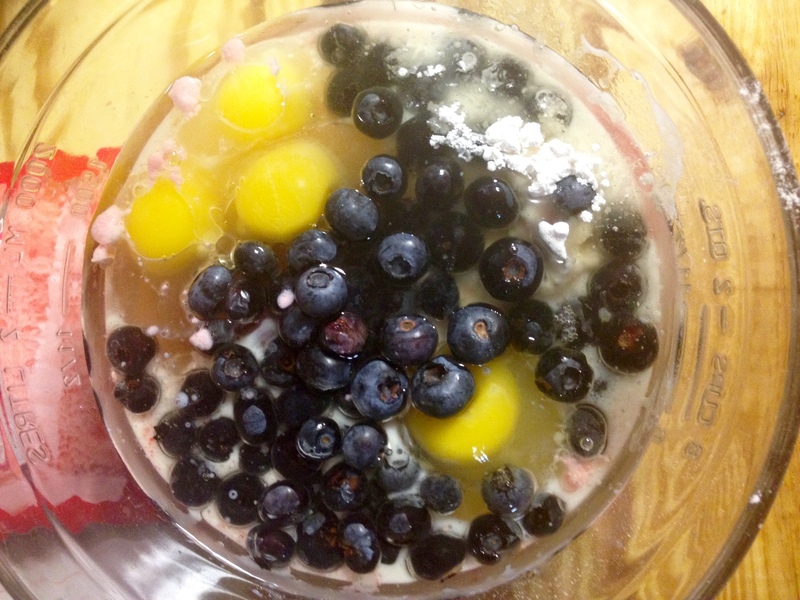 Mix for 2 more minutes, on medium, until all is combined and the blueberries and floating around in there, all good and juicy. Bake for approximately 15 minutes, or until done. I hope you had a great weekend, like I did! 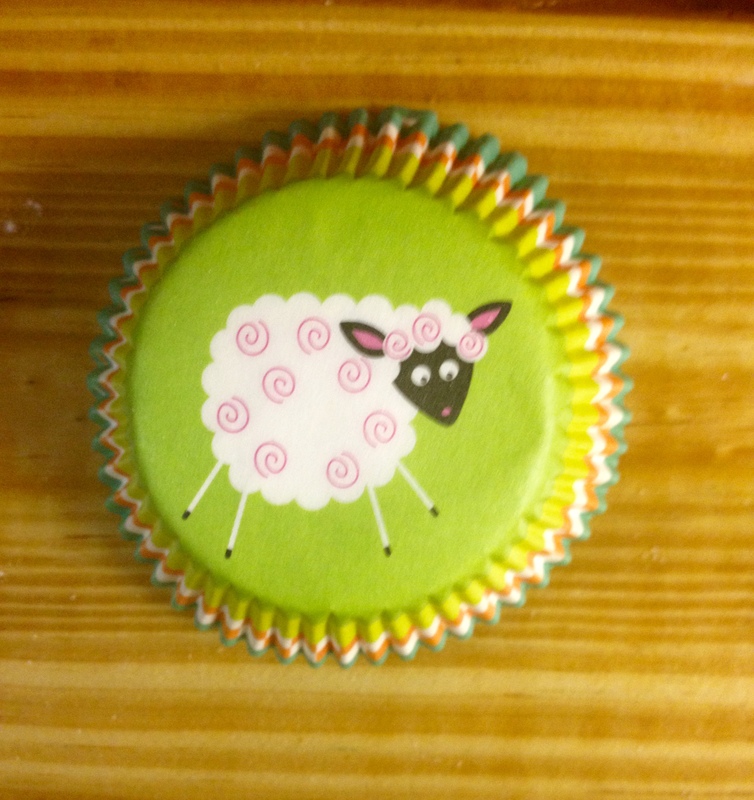 I also hope you’ll try my cupcake recipe, and let me know if you liked it! I’m going to founder on them if I’m not careful. Here’s to the start of a great week! This post is linked up with FoodieFriDIY , Merry Monday Link Party, and You’re Gonna Love It! Now that is how I like to cook! Creative modification. We’ll have an austere week this week, though, as we’ll be cruising next. I wonder if Norwegians eat cupcakes? If they don’t, they’re missing out! Cupcakes are just the right size! Enjoy your cruise…I’ll bet there will be plenty of sweets! By the way, your capes look really great..I especially like the purple tie-dye looking one…and oh, those cupcakes! I wish I could have one (or two) with my morning coffee! I’m so glad you had a great weekend…I could read it in your words! Have an equally super start to the new week and sending you all my very best! You’d want two, trust me!! Thanks for your sweet comment! We just watched Tigger’s bus ride away! Love the cupcakes! Thanks for sharing at Merry Monday.